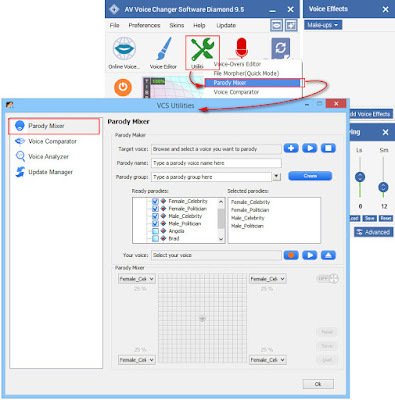 Best female voice changer software. 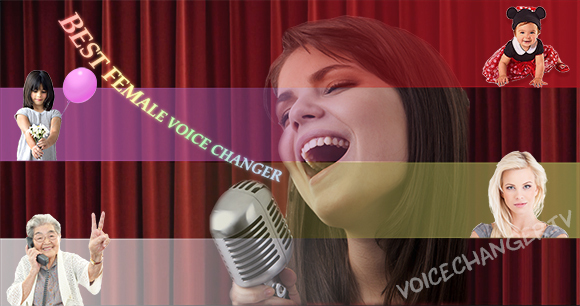 If you ever want to change your voice to a different female voice, this is the best voice changer on PC for you. Not just a regular female voice, you can try the voices of a baby girl, teen girl, young female, middle-aged woman, a caring grandma or even famous celebrities like Katy Perry, Jennifer Aniston and many more. In this tutorial, you will know how to change your voice to any kind of female (or any other) voice with AV Voice Changer Software Diamond 9.0 (VCSD9). This software can be used on any Internet voice chat program such as Skype, Viber, Google Hangouts, Facebook call, Teamspeak and even on real iPhone calls. This is the quickest and easiest way to have a female voice. The Nickvoices are ready-to-use voice presets that you can apply to modify your voice immediately without having to adjust anything. 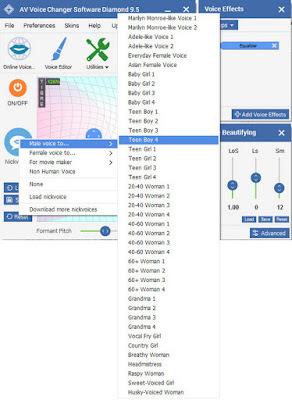 There are various female Nickvoices to choose ranging from Baby Girl to Grandma and even some special voices like Breathy Woman, Sweet Voiced Girl or Adele's voice. There are three buttons Reset, Save and Load for saving, resetting your settings and loading a new Nickvoice. Remember to download a wide variety of other new Nickvoices from the Add-on store. You can definitely sound like Scarlett Johansson, Game of Thrones characters, Emma Stone, Jennifer Lawrence or any female celebrity. Just as the title, Parody Mixer is mainly used to mix up to 4 voices into a completely new one. However, when you choose only one voice for the mix, it works just as Nickvoices. 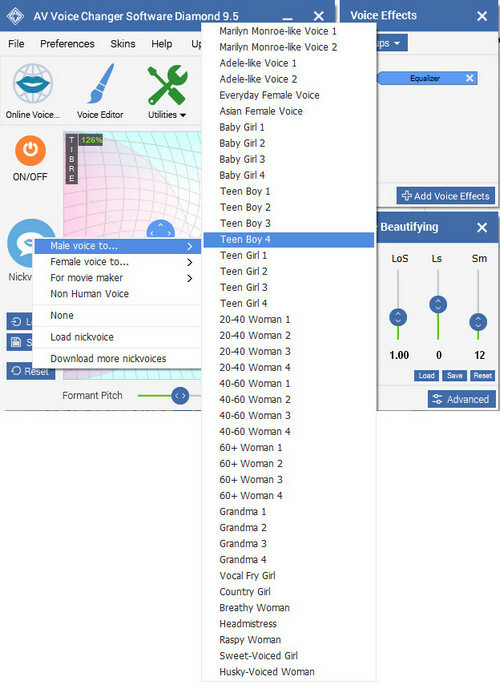 The difference here is that you can use the Parody Mixer Graph to adjust how similar your voice is to the target voice. - Come to Add-on store and choose your favorite Parody voice pack. There are tons of different Parody voices to choose from. - Install the .exe file and then open Voice Changer Software Diamond. - On main panel, choose Utilities and then click on Parody Mixer tab. - In order to use Parody Mixer, you have to import your voice first. Click Recording (1), record about 10 words for a good sample and then save it. - Choose the parody from Ready parodies (2) list and then turn the Parody Mixer graph ON (3). - Choose one parody at 100% to perfectly mimic that voice. This will be the most creative way to change your voice. - You can adjust the Timbre to make your voice sound younger (a child) or older (an old woman). - The other value is Pitch, which makes your voice higher. - Formant Pitch makes your voice more more natural. - Voice Beautifying will produce more rich voice qualities such as soft talking, rough, breathy, creaky and many more. And now, enjoy your voice in different female versions.